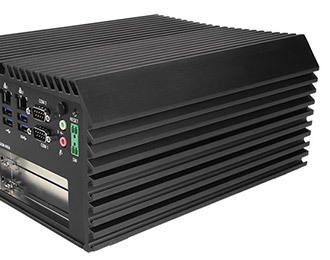 Rugged and industrial design with expansive I/O and a 6th generation Intel Skylake processor. 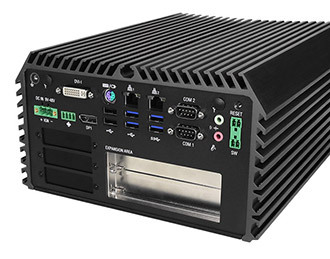 No task is too big for this powerful PC, which packs Intel Skylake desktop performance in a compact rugged enclosure. The DS-1100 series can accommodate up to a quad-core i7 that, along with the superior performance and efficiency of Skylake, also brings with it the ability to accommodate up to 32 GB of DDR4 RAM. The Q170 chipset provides support for advanced technology such as vPro and virtualization. Optional 4G LTE connectivity enables remote network access for in-vehicle installations or failover protection. 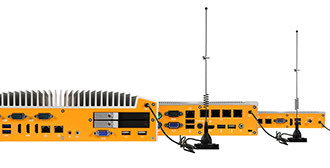 The DS-1100 series can perform in any environment that requires highly capable computing. It is designed to operate in the harshest industrial settings where typical commercial systems would fail. 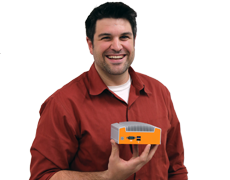 Encased in a rugged, fanless, ventless, and cableless enclosure the DS-1100, DS-1101, and DS-1102 can withstand anything from dirt, dust, shock and vibration. With a temperature range of -40°C to 70°C long-lasting reliability is ensured even in the most extreme environments. 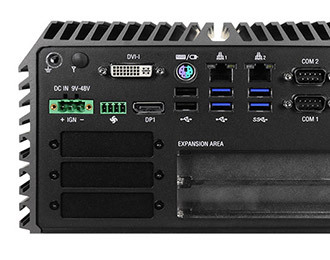 I/O complement is just one of many areas where the DS-1100 series shines, equipped with 8 USB ports (Including 6 USB 3.0 ports), in conjunction with two DisplayPort connectors and DVI-I which allows triple HD displays.  Industrially focused, this series comes equipped with two Gbe LAN ports and two RS-232/422/485 COM ports for connectivity to a wide range of peripherals and equipment while a 2.5” hot-swap HDD bay and SIM card slot provide additional storage capacity. This series offers an incredible array of expansion possibilities depending on the model selected, including additional COM, DIO, LAN, PoE, and USB, as well as riser card options for PCI, PCIe x1, PCIe x8, and PCIe x16.